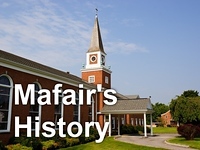 Mafair UMC: Who Do You Say That I Am? "Who Do You Say That I Am?" is the sermon given by Rev. Kim Goddard at Mafair UMC on September 30, 2012.